Brrrrr it’s cold outside! 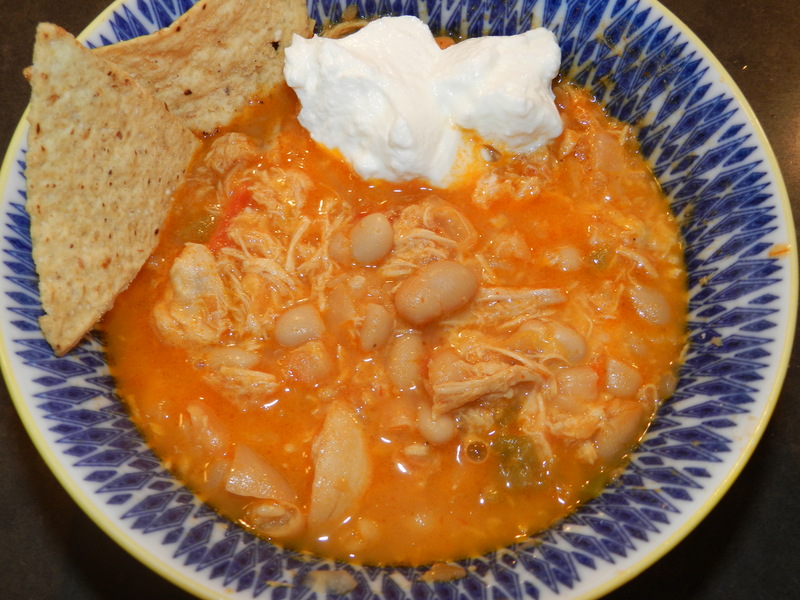 After two snow days (wahoo for working at a school) and the freezing temperature today, I figured today was a good day to post about this amazing warm little goodness in a bowl … White Bean Chicken Chili. Chili reminds me of two things; football season and cold weather! There is nothing better than making a big batch of chili to enjoy on a cold winter day and sinking into your couch while watching a football game. My father-in-law makes a pretty mean batch of chili and usually lets his boys know that he has a big batch on the stove and for them to come on over. His chili has the more traditional ingredients, like kidney beans and lots of ground beef. My mother-in-law on the other hand, makes an equally tasty chili, but makes it healthier. 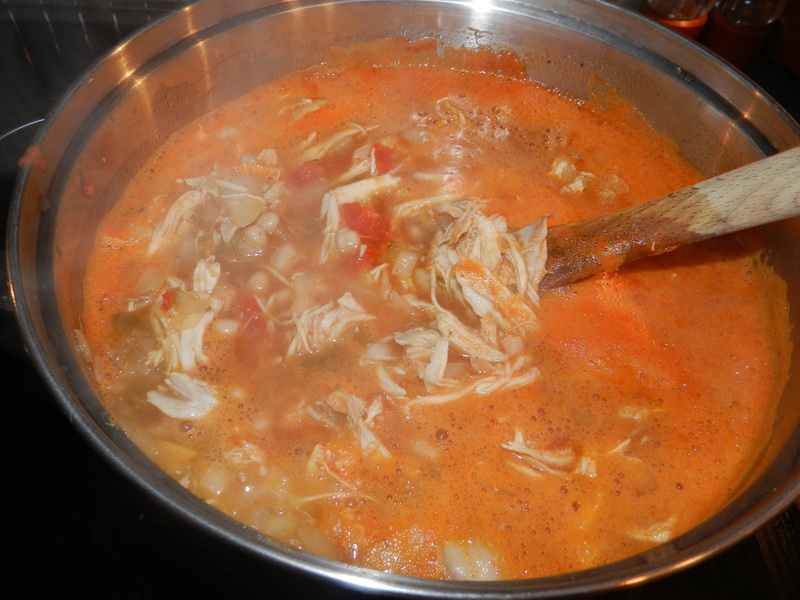 Introducing White Bean Chicken Chili. I have to give full credit to my wonderful mother-in-law and her sister, Vicki, for introducing me to this delicious recipe. It is so easy, quick and it won’t leave you feeling guilty after having a bowl or even two! I substituted some of the original ingredients to make it a little healthier. For example I chose low-sodium free range organic chicken broth over regular chicken broth, non-fat greek yogurt over sour cream, and reduced fat cheese over full fat. I will say that having the full fat cheese is perfectly fine. Dr. Oz even says that it is better for you than reduced fat because reduced fat has added sugar and sodium. Like I have said before, everything in moderation. You can even add in some organic spinach and green peppers to add some veggies to this dish! Now for the recipe, thanks to Peggy and Vicki! You’ll be amazed at how easy this is and makes for a perfect family meal when you are busy and have little time for cooking. I make mine on the stove, but you can always throw everything in the crock pot and even leave your house while it cooks! Saute onion and garlic in olive oil. Meanwhile shred cooked chicken. 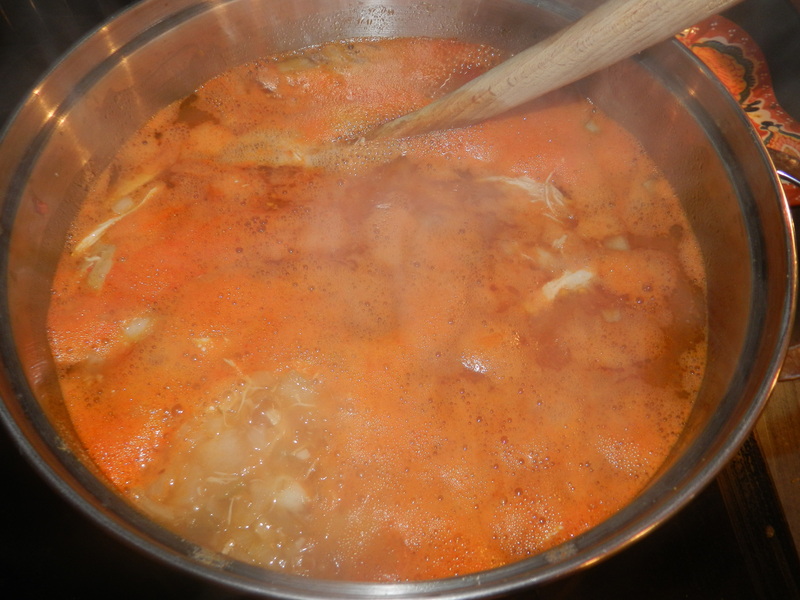 Add all other ingredients ( except cheese) and let simmer for 45 minutes to an hour. Add cheese and continue heating until melted. This recipe is so easy and makes for wonderful leftovers. Double the recipe if you are feeding a lot of people. This entry was posted in Food and tagged chili, healthy comfort foods, healthy recipes, quick and easy meals by find your healthy haven. Bookmark the permalink.